The UCC is conveniently located, just a few minutes off I-75. Take exit 44B (Franklin/Springboro exit) and travel west. Turn right onto State Route 741 (also listed a Main Street) and continue heading south. 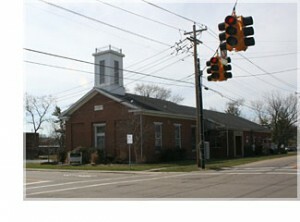 The United Church of Christ is located on the corner of Main Street and Lower Springboro Road – the first traffic light you reach. You will turn right onto Lower Springboro to reach the church parking lot.